This week’s Chapter Spotlight is Iota Beta (St. Mary’s), our Southern Quadrant’s Most Improved Fundraiser. Former Vice President of Marketing Samantha Shelton shares insight into their event planning and preparation during the 2015-2016 academic year. You increased your donations to Alpha Phi Foundation by more than $2,500 last year. How did you accomplish this? We hosted our very first Red Dress Gala in 2015 with the support and guidance of our local alumnae chapter! As a smaller chapter (28 members) it was a little daunting to plan such a large philanthropy event by ourselves. At our first Gala, we had about 50 silent auction items and one large live auction item. All of the revenue from the auction was donated to the Foundation. Did you introduce anything new at your philanthropy events? 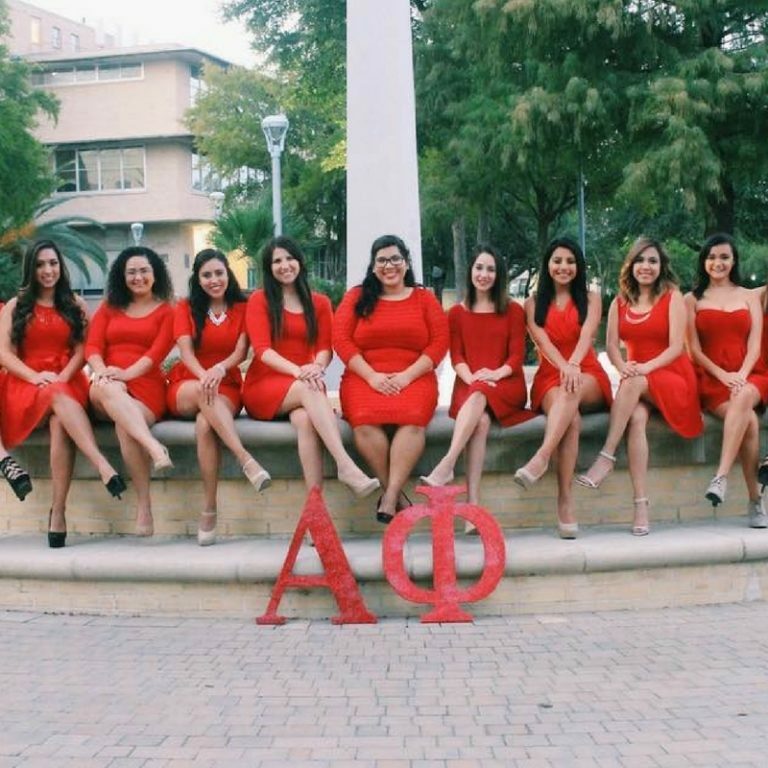 As the Philanthropy Chair for 2015, I teamed up with an alumna of the San Antonio Alumnae Chapter to help coordinate our first Red Dress Gala. Without the support, help and guidance from our local alumnae, I don’t think our first Gala would have been nearly as successful – especially from current Alumnae Chapter President, Jennifer Fuentes! We also welcomed a guest speaker from Women Heart Champion. How did you involve the chapter in planning your event? Although the event was brand new for us, we were able to try a few different things to involve the chapter. Members contributed themed silent auction items divided by AOE groups; for example, Group A (a group of ten women) built a movie-themed basket. All of our guests were from the local alumnae chapter, and they had helped obtain silent auction items and the location. If we’ve learned anything, it was that early planning is CRUCIAL. We have definitely learned from our mistakes, and are ready to tackle future Red Dress Galas!